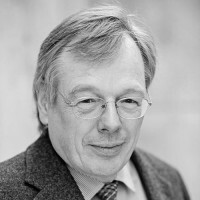 Prof. Martin Möller has been professor for Textile Chemistry and Macromolecul Chemistry at RWTH Aachen University since 2002, after being professor at the University of Twente and Ulm University. Before that, he studied chemistry in Hamburg and Freiburg. In 2003, Möller became scientific director of the DWI – Leibniz Institute for Interactive Materials. He is active in a large variety of scientific organisations and was decorated with the Körber Award for European Science in 2002.